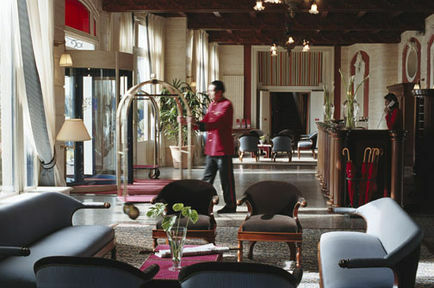 Grand Hôtel Barrière Dinard, Hotel France. Limited Time Offer! 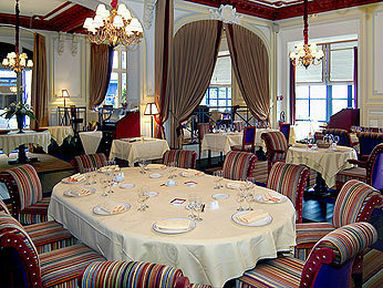 Grand HÃ´tel Barriere. 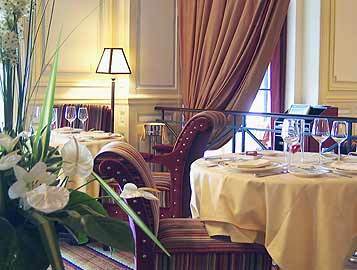 The 4-star hotel "Grand HÃ´tel Barriere" is loved by families in particular. 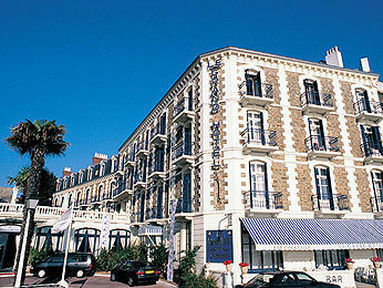 It is an ideal place to stay when exploring Dinard. To help visitors visit the surrounding area, there is a shuttle service available. 90 rooms are featured. Observe nature in the privacy of the garden. 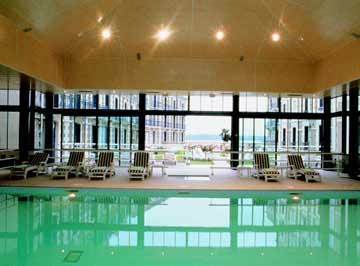 Enjoy the covered, indoor swimming pool. You are offered the option of taking part in mini-golf. For guests who like getting in some sports practice, the hotel also offers surfing, sailing, tennis, horse riding, soccer, golf and squash. Furthermore, there is a gym where guests have the opportunity to exercise by themselves and a bike rental service. For your well-being, there is an onsite spa, a sauna and a Turkish bath available. The gastronomic onsite restaurant can serve you dinner. For a drink before or after dinner, feel free to take a seat at the lounge bar. Of course, staying in touch with the rest of the world is made easy by the Internet that is provided. 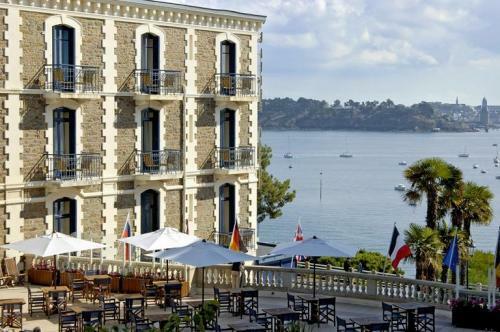 If you’re coming to spend your vacation in the charming Dinard seaside resort, make sure you’ll enjoy your visit by opting for the Grand Hotel Barriere Dinard. Housed in a magnificent granite building brightened up with white stone that faces the sea. You are sure to love the elegant setting and beautiful sea-themed decor. The guestrooms feature a beautiful marine decor. Room sizes vary according to the category. All are equipped with an Internet connection, a television and a DVD player (when requested in advance). The hotel’s leisure facilities include an indoor pool, a sauna and a steam room. 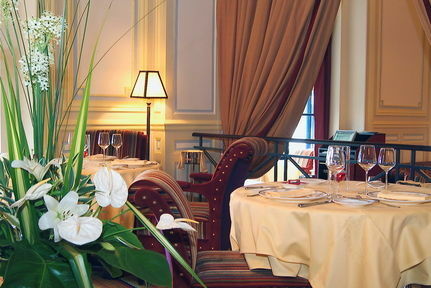 The restaurant brings together traditional gourmet dishes and sea flavours. Both the restaurant and the cafe command an unforgettable view of the sea. 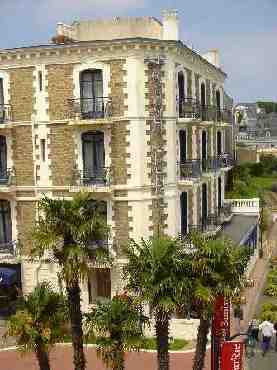 Dinard, once a fishing village, was slowly turned into a famous seaside resort full of shops and entertainment venues. 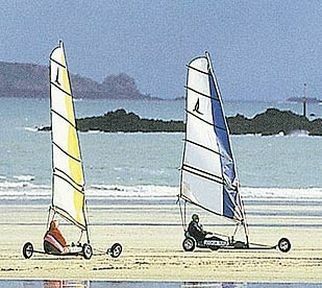 Wander along its beautiful beaches or enjoy some water sports. 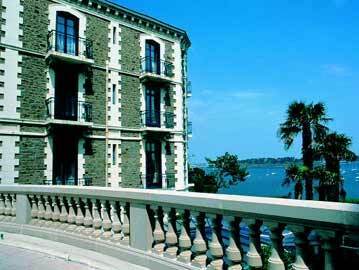 The Grand Hotel Barriere Dinard offers a stunning view of the sea and of Saint Malo, which is only a short drive away. - The fact that Parking & Breakfast was an extra charge. + Just about everything you would want at one site. 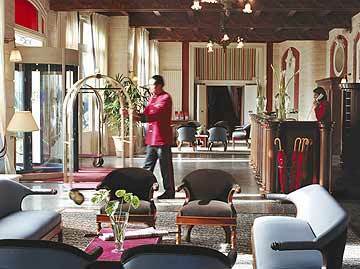 VFM probably depends on whether you want to use all that the hotel has to offer. The hotel made a mistake with our booking and could not accommodate us the first night - their response was excellent (eg free alternative hotel, upgade for the remainder of our stay). If your room has a balcony, ask for the wing on the right as you look at the hotel as it gets the sun - if that is what you want but means your room also gets warmer. - Rooms at the front of the hotel can suffer from a bit of street noise and as they overlook the foyer, also from those returning from the casino, more so if you have to leave your window open to cool down. Hotel car park a bit pricey at E16 per day.